At its Upfront presentation, MTV announced it has ordered and placed in development a slew of new music, game, reality, and documentary TV shows and specials. New series and specials coming to TV include: Acting Out, The Almost Impossible Game Show, Stranded with a Million Bucks, Mark Burnett Music Competition, Untitled Zac Efron Documentary, and Wonderland. TV show projects in development include: 305; Greatest Movie Show of All Time, This Week; It’s The Real; Studio 24; and Year One. First up on the development front is 305 (working title), from executive producer and writer Sascha Penn. Director Jonathan Levine is executive producing with Pitbull. David Ortiz is co-executive producing. Little is known, so far about 305, except that it is a Miami-based drama. Greatest Movie Show of All Time, This Week (working title) comes from Serious Business and Seven Bucks Productions. 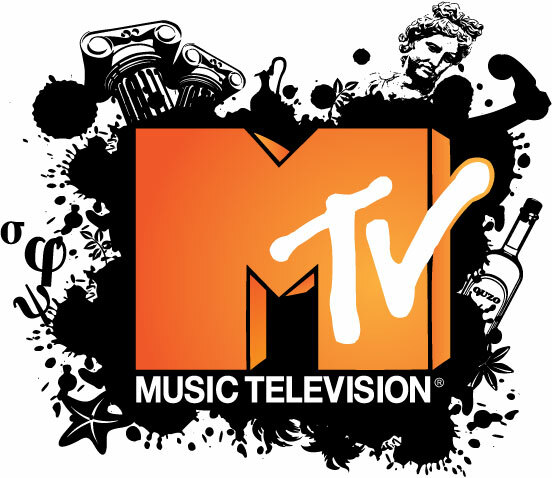 Executive producers are Dwayne Johnson, Alex Blagg, Jason Nadler, Jon Zimelis, Dany Garcia, Hiram Garcia, Brian Gewirtz, and co-creator Josh Horowitz, the MTV News movie correspondent. The weekly half-hour comedy/talk celebrates the latest movie news, trends, and rumors through interviews, sketches, and panel discussion. A comedic half-hour, It’s The Real is executive produced by stars Eric Rosenthal and Jeff Rosenthal, the Upper West Side Jewish hip hop duo, “It’s The Real.” Jeremy Miller and Dan Cohn (Entourage) are executive producing. John Legend, Mike Jackson and Thais Stiklorius (Underground) executive produced for Legend’s Get Lifted. Legendary Television (Love, Colony) is executive producing. MTV struck a deal with Scooter Braun Films to develop the Studio 24 TV series, in which a famous artist and mystery talent are paired to create a new song in 24 hours. The project hails Pandemo, Inc. and Scooter Braun Films. Executive producers are: Jonathan Slow, Scooter Braun, and Scott Mason. Studio 24 is based on a format by FTV Rights B.V. Finally, MTV is also developing a new music documentary series, Year One, which will draw on its wealth of archival footage to explore the breakthrough year in a star’s career. In case you missed it MTV is reviving the MTV Unplugged TV show. Learn more. The network has ordered three new scripted TV series. Check them out. It is also developing three more scripted TV shows. Get the details. MTV has also ordered a handful of new docu-series. Read about them, here. What do you think? How do you like the sound of MTV’s new TV shows? Which new and developing series most interest you? Tell us. More about: 305, 305: canceled or renewed?, Acting Out, Acting Out: canceled or renewed?, Greatest Movie Show of All Time This Week, Greatest Movie Show of All Time This Week: canceled or renewed?, It's The Real, It's The Real: canceled or renewed?, MTV TV shows: canceled or renewed?, Stranded with a Million Bucks, Stranded with a Million Bucks: canceled or renewed?, Studio 24, Studio 24: canceled or renewed?, The Almost Impossible Game Show, The Almost Impossible Game Show: canceled or renewed?, Wonderland, Wonderland: canceled or renewed?, Year One, Year One: canceled or renewed? All of the shows sound horrible! MTV will plummet faster than you can say MTV. Please rethink this idea.